A woman with incurable cancer, who claims she could have been successfully treated if a smear test taken almost nine years ago had been correctly read, has told the High Court she feels angry, hurt and let down. 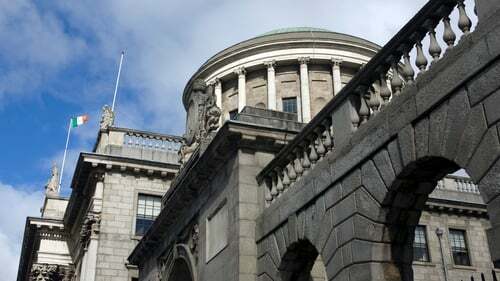 The mother-of-two in her 40s is suing the Health Service Executive and three laboratories over the alleged misreading and misreporting of a smear test taken in September 2010. She was diagnosed with cervical cancer five years later and the court heard she could now have less than two years to live. The defendants deny the claims. In her evidence, the woman gave details about her diagnosis and treatment and said if her smear had been read correctly in 2010, she would not be "in this mess". She said two young children were relying on her and she was "too young to die". The woman said she was numb with shock when initially diagnosed with cervical cancer in 2015. Two years later, in September 2017, it came back. She was told it was inoperable and she had to undergo a course of treatment, including chemotherapy and radiotherapy. The woman said she had to stay away from her two young children because they were picking up bugs. She described to the court sitting in the hallway of the radiotherapy clinic and crying because she was devastated to be missing one of her children's birthdays. She said a nephrostomy tube inserted into her kidney, for nine months, was debilitating. She described how as her family put up a Christmas tree that year, she sat in the corner, "in a heap". The woman had a cancerous lump removed in May last year and she told the court she was hoping to get back to some bit of normality. One of her children had been diagnosed with a developmental disorder and needed a lot of attention that she felt had already been missed out on. However in September 2018, she was told the cancer had come back and was incurable. The woman became emotional in the witness box as she said this time things had changed and were so much worse. She had another battle ahead and did not know whether she would win or lose. She described barely being able to move or speak due to the debilitating effects of the chemotherapy. The woman described having to tell her children she was ill. She said she could not say the word cancer to them and told them she was on special medicine, but would get better. She told the court she was trying to hide the fact that she was "in serious trouble" and said she could not deal with telling such young children that she might not be around. The woman said her children were worried and her husband was trying to keep his head down and keep going, but was mentally and emotionally torn apart. She said he did not want to face the reality of what was coming down the tracks. The woman told the court a scan in January had shown some good news, but she had not been feeling great recently. She did not know if it was the worry of this court case or if something else was happening with her health. Asked about her hopes for the future, the woman said she hoped they would cure the cancer, but she did not think that would happen. "I'm too young to die," she said. She told the court she had two small children who relied on her and she wanted to see them growing up. She said if her smear had been read correctly in 2010, she would not be in this mess, and she felt angry, so hurt and let down. She said their lives had been torn inside out and upside down so many times. The cancer was not letting go. She had fought one battle after another and she did not know when it would end. The woman said she was confused that her case had not been part of the HSE review process. She felt lost in the system, and felt that she was not important and had no significance. Asked how she felt about the HSE and the defence of the action, she said people had responsibilities. They owed a duty of care, and it was just not happening. She said there was no accountability and she was wondering where the truth was. She asked if anyone cared, or anyone had a conscience. She said it was unbelievable to know she was in this situation because, she said, someone did not do their job right. She was facing a battle she knew was going to get tougher and she did not know if she could put up much of a fight. The court has heard experts on behalf of the woman will give evidence that abnormal cells were clearly present on the woman's 2010 smear and if these precancerous cells were treated at that stage, she would have had a 95% chance of being cured and only a 1% chance of developing cervical cancer. The woman has finished giving her direct evidence and the case will continue next week.